On Saturday September 23, 2017 Kenya’s hope of hosting the 2018 CAF Africa Nations Cup Championships (CHAN) went up in smoke after the continental soccer governing body decided the country was not prepared for the continental showpiece. While the impending Presidential election re-run may also have contributed to the verdict, the crux of the matter is that Kenya is not and was not going to be ready to stage the Pan-African tournament that features local based football players. You see, the “shocking” announcement made in Accra Ghana barely three days after the Kenyan Cabinet approved 4.2 billion shillings for the tournament merely confirmed what a section of local sports pundits had predicted all along. That, assurances from stakeholders led by the Ministry of Sports, Football Kenya Federation and the Local Organizing Committee were nothing but empty promises anchored on the illusion that Kenya could deliver four venues by December 2017. 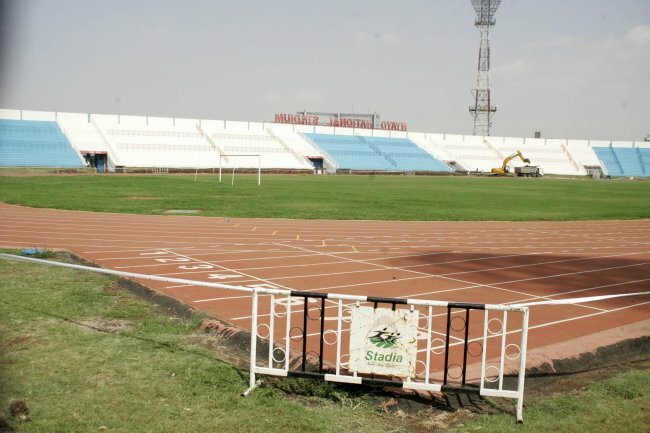 The reality on the ground however is only Moi International Sports Centre Kasarani met the requirements as at mid-September when the CAF inspectors came calling in what would be their last visit. The other three namely Nyayo national stadium in Nairobi, Kipchoge Keino stadium in Eldoret and Kinoru stadium in Meru were at various stages of rehabilitation and truth be told would not be ready in three months time. And even though the red card from CAF disappointed many, it exposes the under belly of the nation’s sports sector. Half a century after independence, the country is yet to fully exploit opportunities offered by the industry. Sadly Kenyan Sports is a classic case of survival for the fittest. In fact were it not for the passion of athletes and goodwill of other stakeholders the sector would be dormant. It is disheartening that in this day and age many a Kenyan Sportsman or woman cannot live off their talent and even recognition for achievements is not a guarantee. Even more disappointing is that only two facilities Kasarani and Nyayo both in the capital Nairobi are fit to host any meaningful competitions. Things were expected to change for the better in 2012 when after almost a decade of waiting Parliament passed the Sports Bill. It was enacted into law later that year providing for among others the establishment of state of the art sporting facilities and a sports lottery to fund national teams. In March 2013 the first government under the current constitutional dispensation was elected further fanning the flames of hope for the Kenyan Sports industry. However grandiose plans to boost the sector that included construction of five new national stadia were soon relegated to the back burner. Additionally it was also anticipated that the advent of devolution the same year would boost the industry but unfortunately growth mashinani is slow. Only a handful of the 47 counties boast of a quality sporting facility. The rest are either playing catch-up or are at the mercy of the motivation of respective county officials. Of note is that some regions keen on leveraging on the power of sports have in the spirit of harambee signed a memorandum of understanding with Sports Kenya to develop facilities. If this plan succeeds then talent in all disciplines could not only be sourced and nurtured at grassroot level but could thrive to national and even international proportions. The net effect will be a competitive industry that not only facilitates continuous supply of sportsmen and women but also contributes directly to the Kenyan economy by sustaining livelihoods. But this sporting nirvana can only be achieved through concerted efforts that include and are not limited to establishing intra and inter-county championships to act as feeders to national teams. Of essence will be solid governance systems that aid and supervise efficient running of sports development programmes for posterity. A good place to start would be to make sports an exclusive docket in both national and county level as opposed to the current scenario where it is lumped up with other portfolios and easily gets sidelined. Then those appointed to head those ministries should be persons with a sports background be it as an athlete or administrator. Emulating best practices from other jurisdictions inside and outside the mother continent can also be useful and perhaps even justify some of those bench marking trips that a number of County governments are famous for. Ultimately Kenyans who are the major stakeholders must claim and own their place in the team that is the Kenyan Sports Industry. This they will do by taking responsibility for maintaining facilities, calling out errant athletes and officials and blowing the whistle on unscrupulous county and national leaders. The result will be a day in the not so far future when the country can confidently bid to host continental and international competitions in any discipline without fear of blushes.